Scotland #16: Welcome to Glasgow! 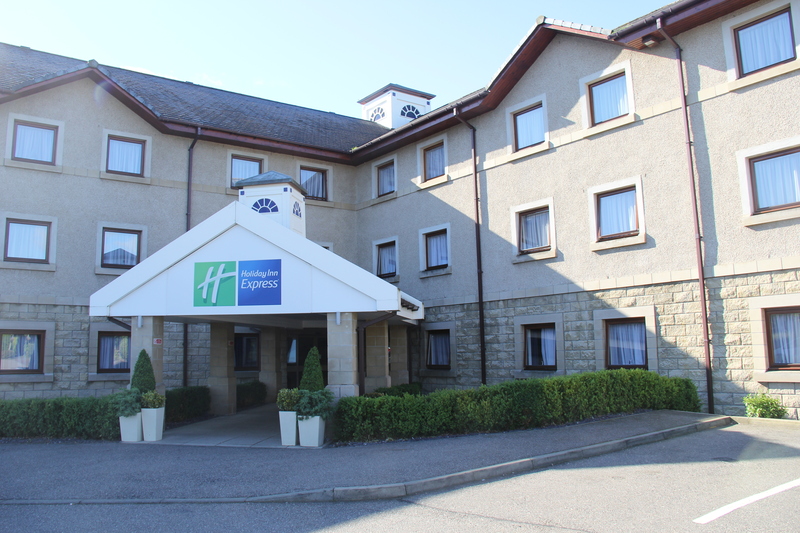 The goal of picking hotels for our Scotland trip was to spend as little money as possible while maintaining a basic standard of quality. 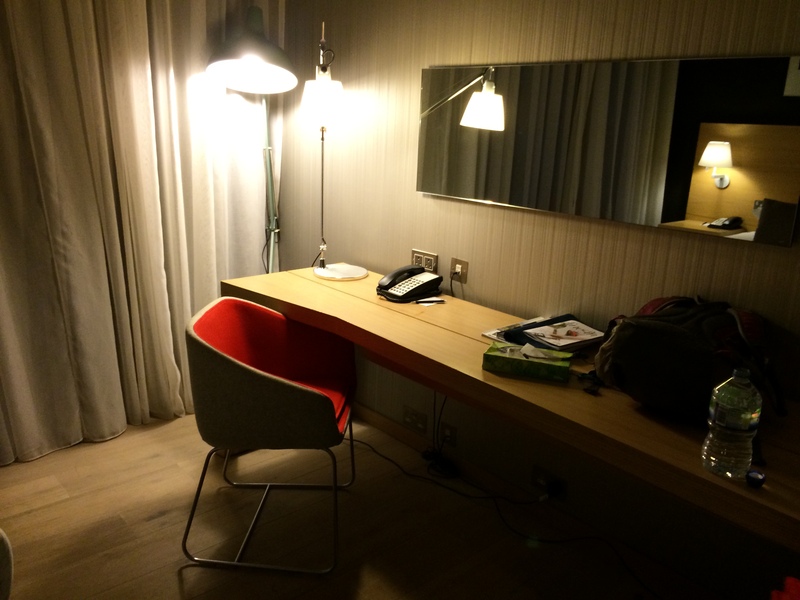 I wasn’t expecting anything grand – I just wanted to stretch my points as far as they would go. 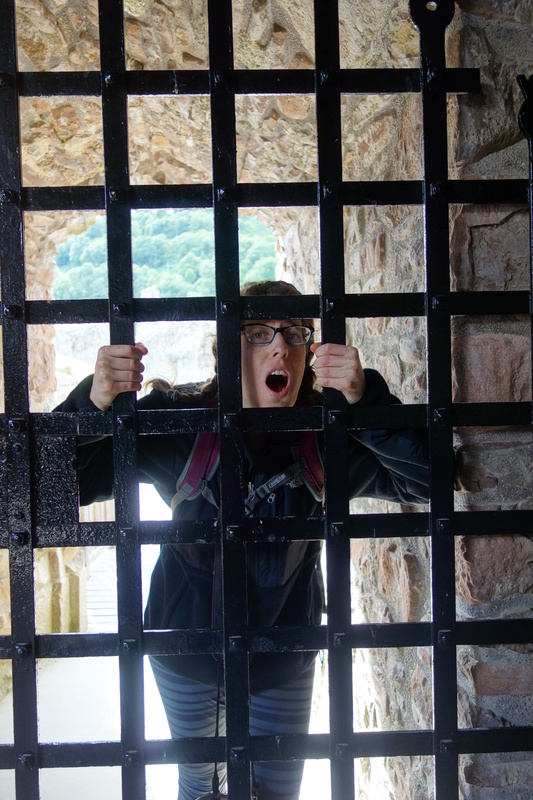 This is not the most interesting post, but in case anyone is planning a trip to Scotland and wants to see some options, I’m happy to be of service. 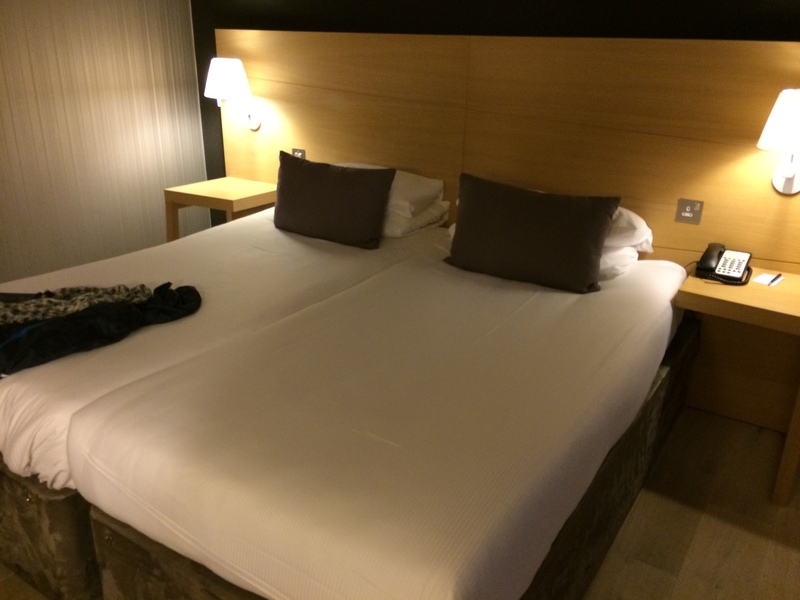 I booked this hotel back when Club Carlson offered an insane deal to anyone who held the Club Carlson credit card: Last night free when you book a hotel with points. 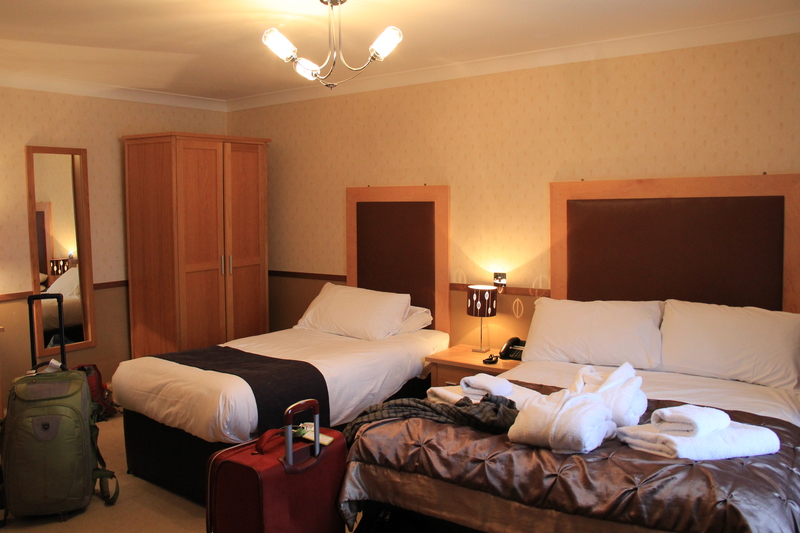 Our three nights in Edinburgh, in the heart of Old Town, was only 80,000 points (40,000 points per night). For a mere, 20,000 points, we got a free stay at the Double Tree en route to the Highlands. 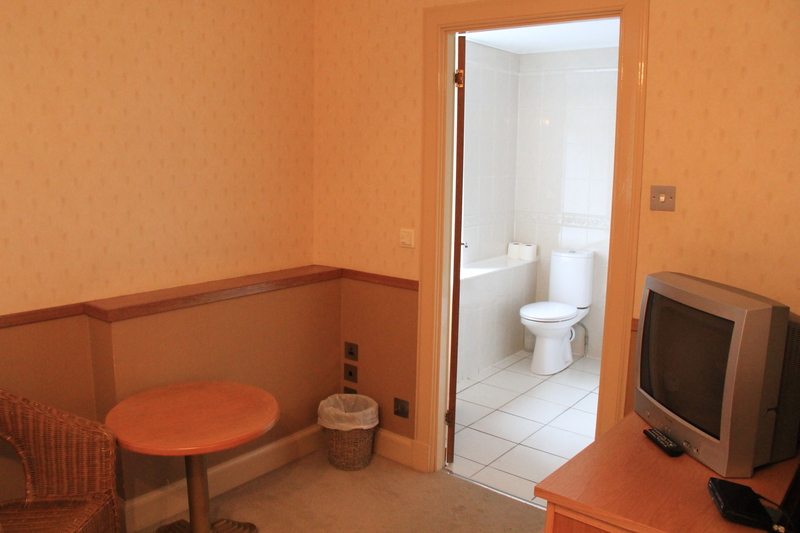 The room was nice, but on the small side. There was only one points option here: The Holiday Inn, and probably not the best points value, but better than paying $200 a night. We stayed three nights here. Nothing to write home about, but it got the job done. 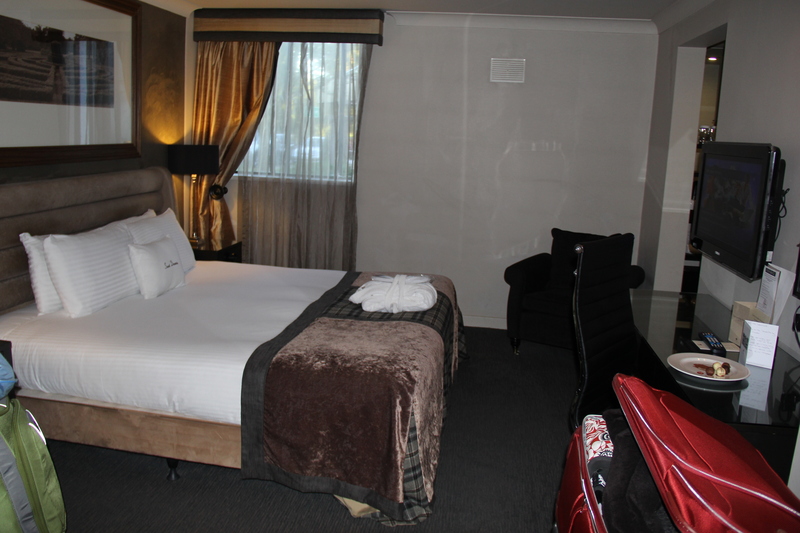 This was the nicest hotel we stayed in, and the only one we paid for. There are no points options on the Isle of Skye, and the hotels can get pricey here. 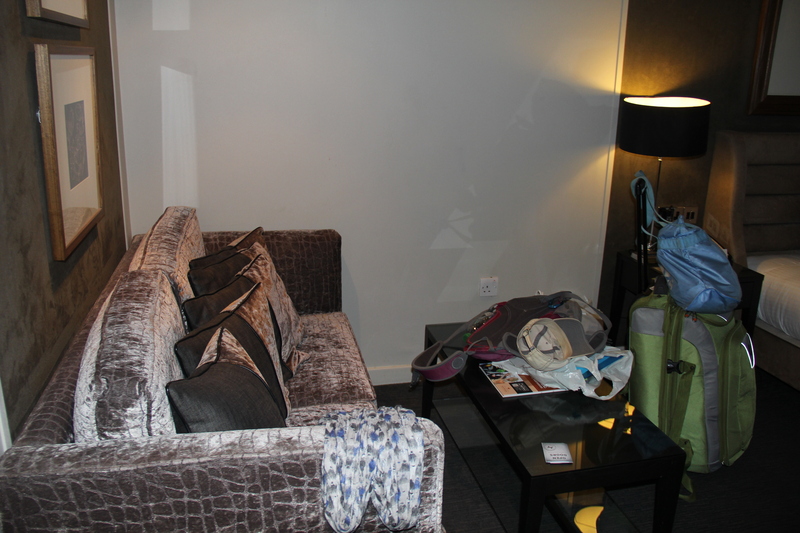 We chose a mid-level boutique hotel at about $250 a night, and it was quite lovely with a very large space and complimentary breakfast. We barely spent any time in the hotel. 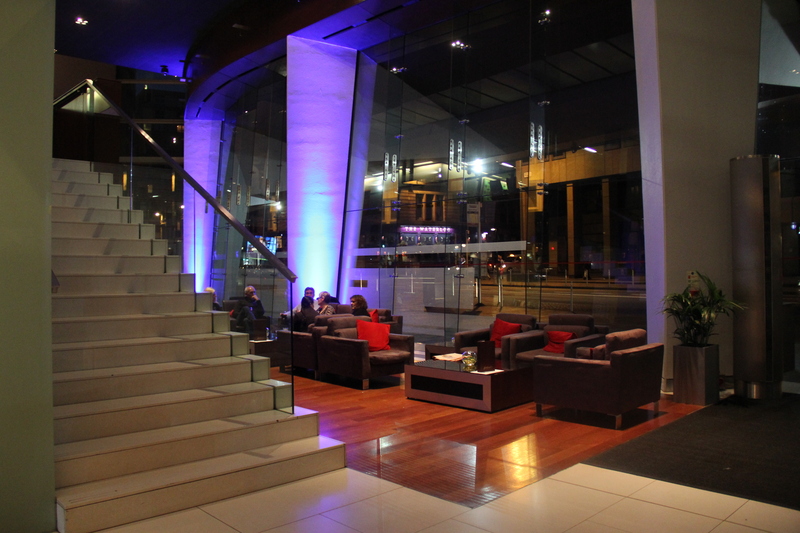 We just wanted a place centrally located, so I unloaded another 40,000 Club Carlson points and booked a room at the Radisson Blu Glasgow. 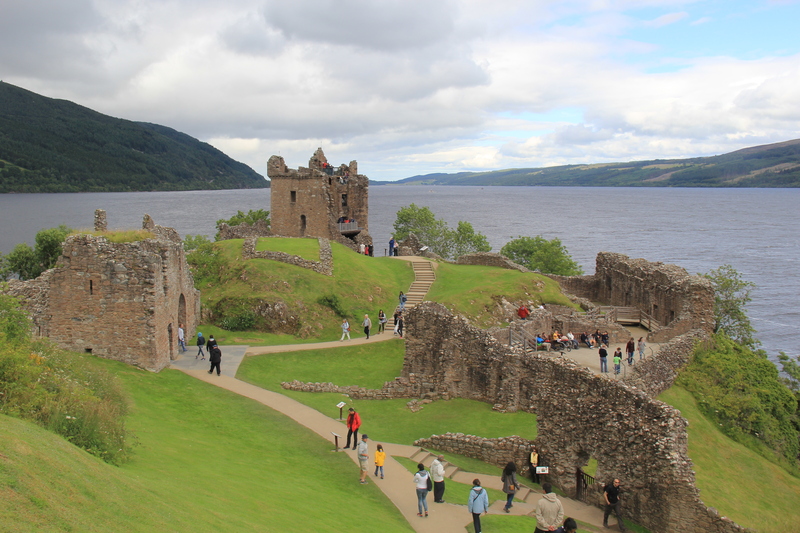 After Culloden and Cawdor Castle we embarked on a drive around the infamous Loch Ness. 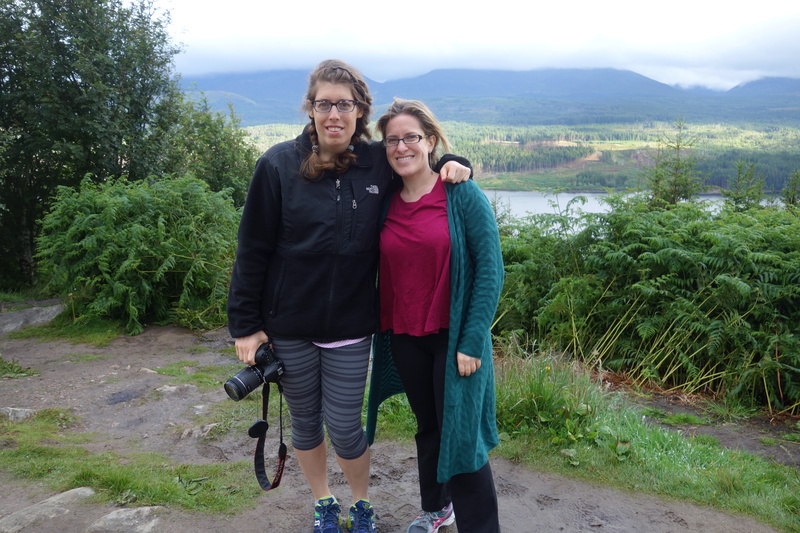 While we did not spot the Loch Ness Monster, we did get to experience some genuine Scotland weather and see a bunch of beautiful scenery. Throughout the day, the weather vacillated between sunny, blue skies and wet and windy. 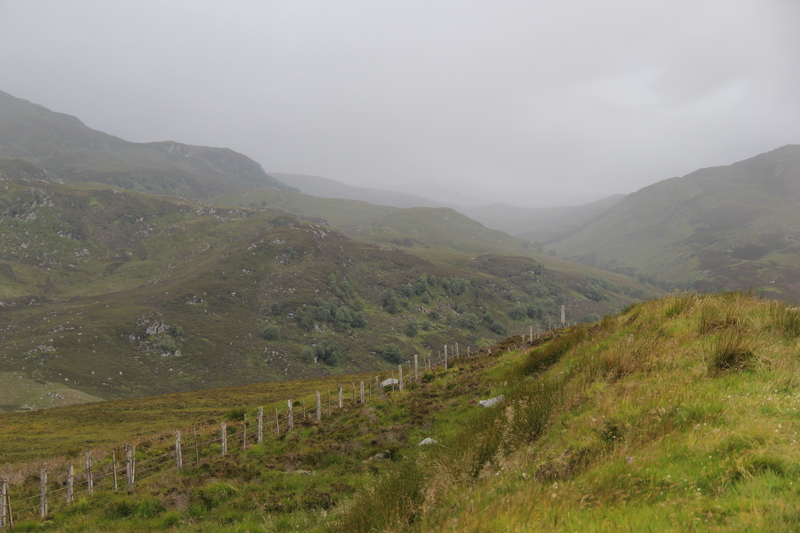 But the bizarre weather produced some gorgeous fog and some very scenic pictures. 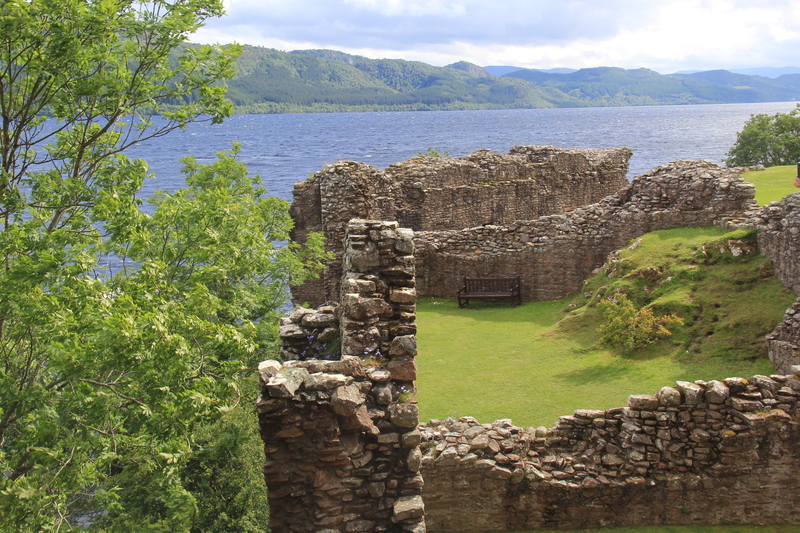 We started at Inverness and drove along the southeastern shores of Loch Ness, stopping at various scenic spots and Urquhart Castle. 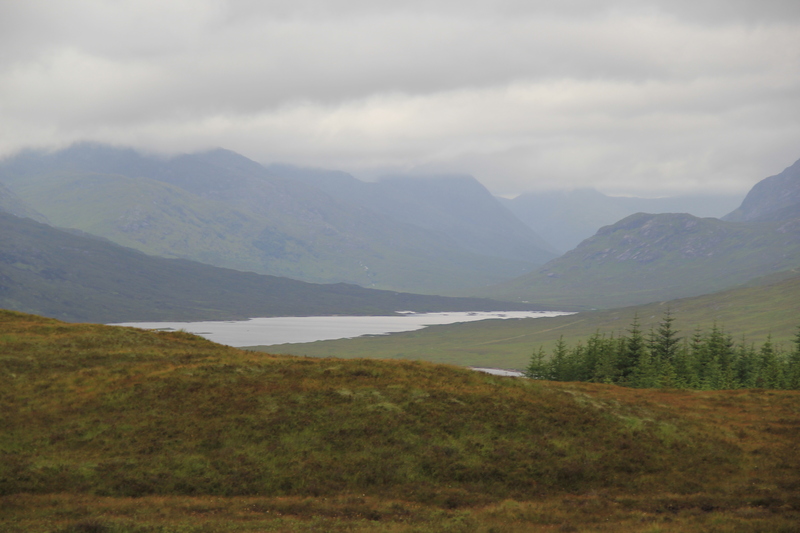 Then we headed further east, deeper into loch territory, stopping at the moody Glen Gary. 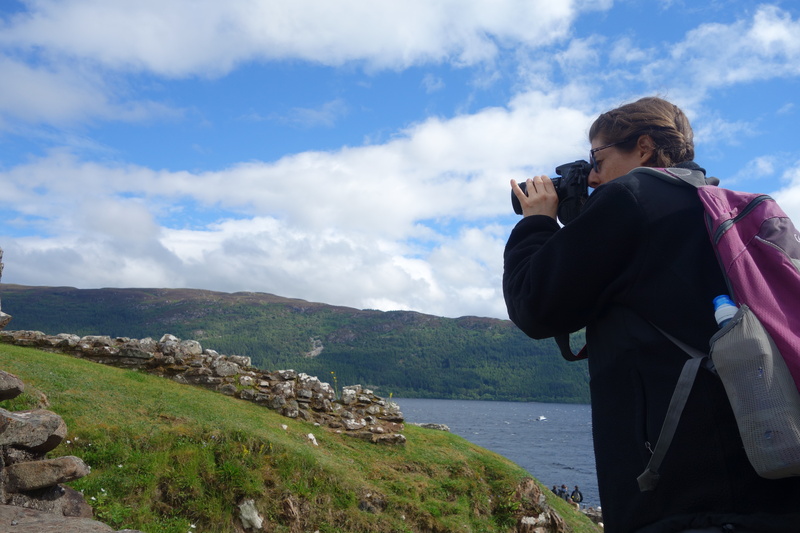 As we headed north, we looped around to the Loch Ness’s western shore, stopping at Suidhe viewpoint. After that, the road splits. 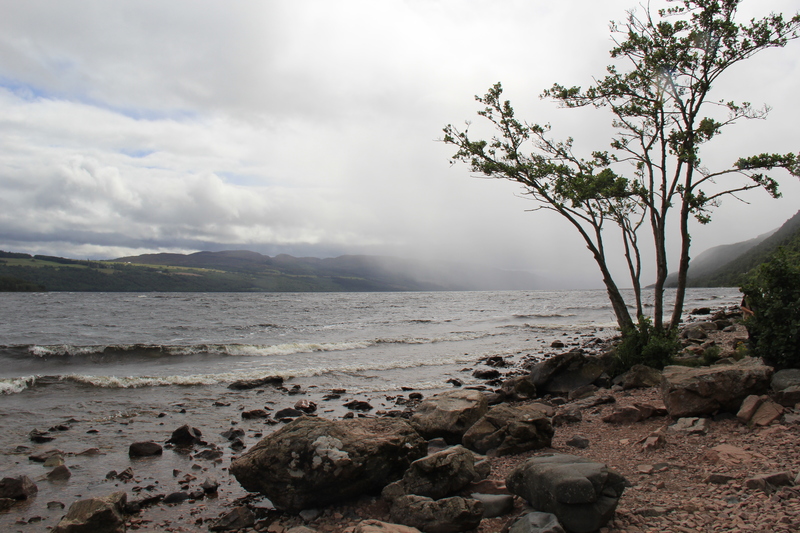 You can take B852, a narrow, rural road along the shores of Loch Ness (our choice) or stay on B862 above the water. 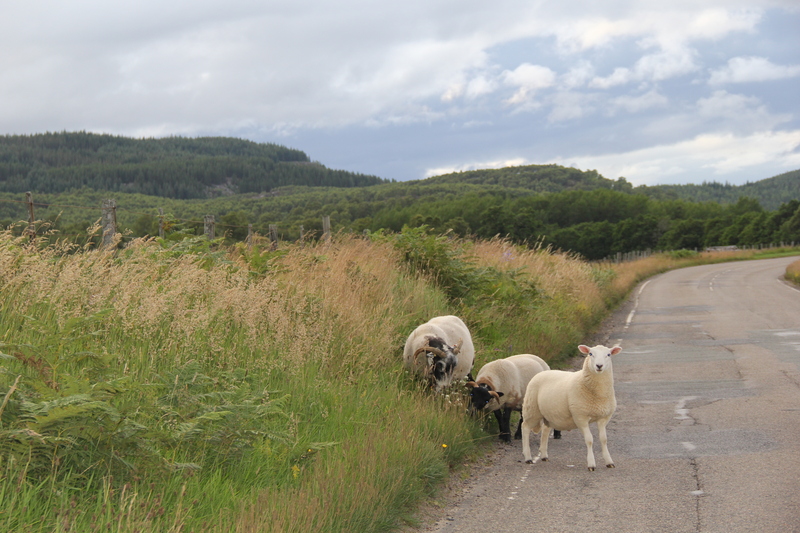 The two roads meet up at Dores and will take you north to Inverness. 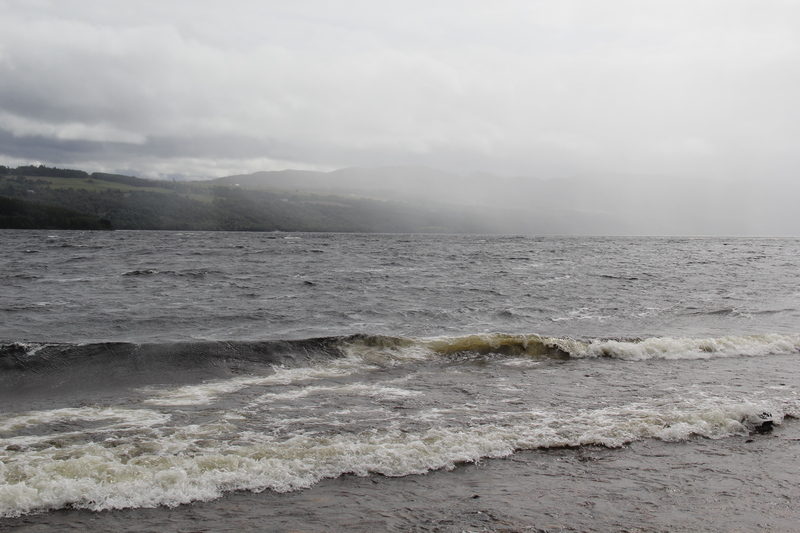 Our first stop along Loch Ness was a small pullover with steps leading down to the water. The intense fog gave the area an eerie feel. 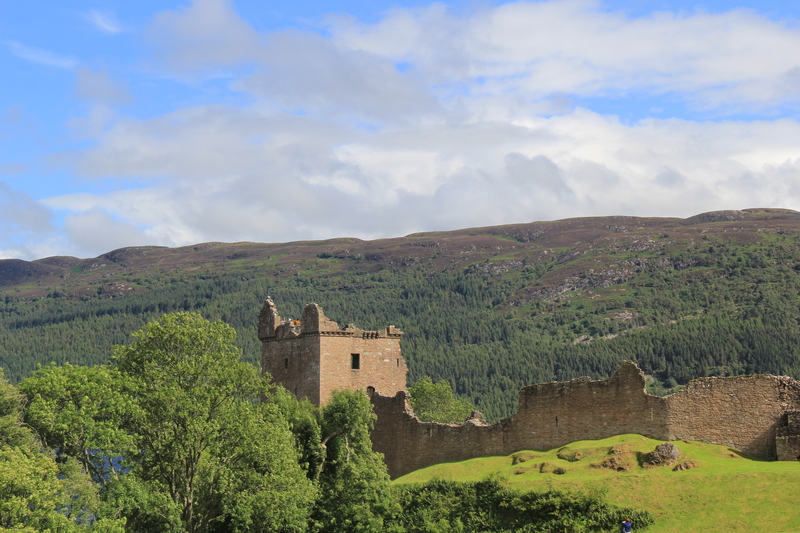 By the time we got to Urquhart Castle, the sun had returned – temporarily. We got to enjoy some blue skies before the rain descended on us and I finally, finally got to see a rainbow in Scotland. 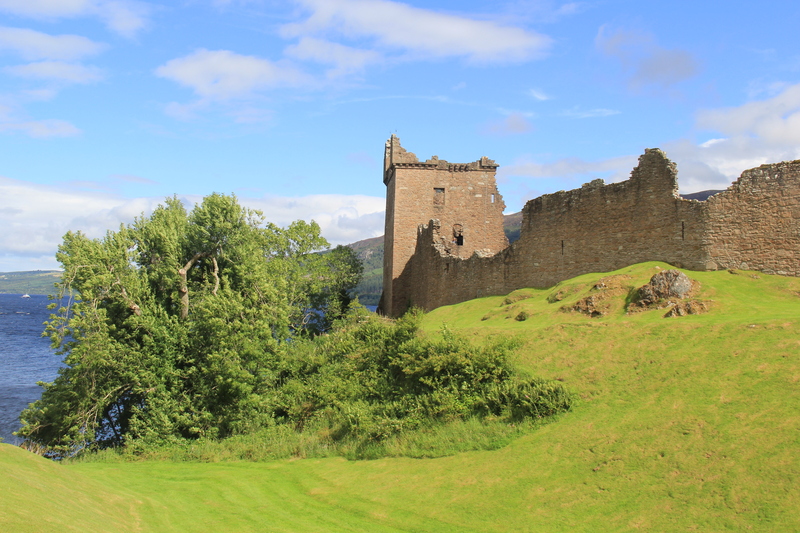 Urquhart Castle played a role in Scottish history for hundreds of years as a key fortress in the region’s many bloody conflicts. 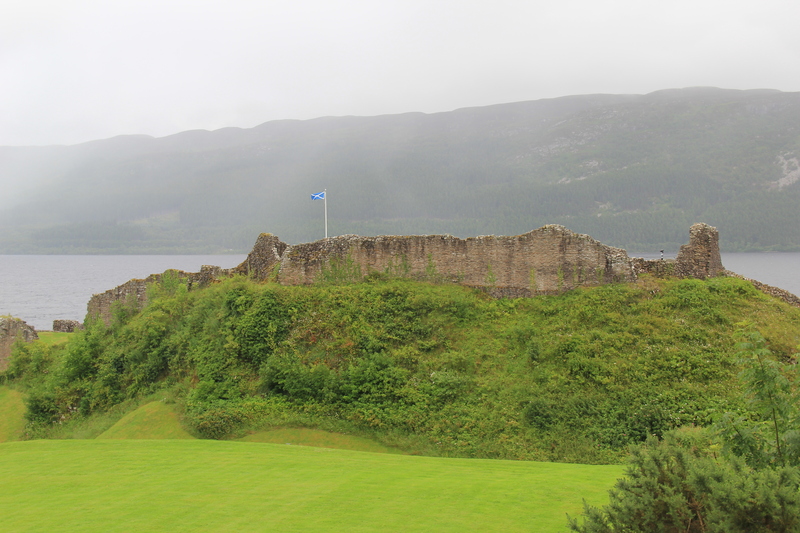 The castle was ultimately destroyed in 1692, a casualty of the early Jacobite uprisings. 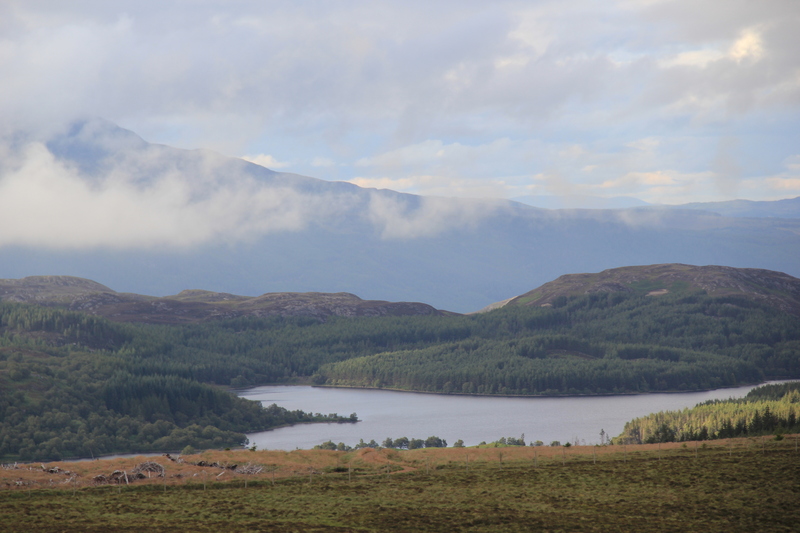 Because of the Jacobite’s presence in the Highlands, the English used Urquhart as a strategic base. 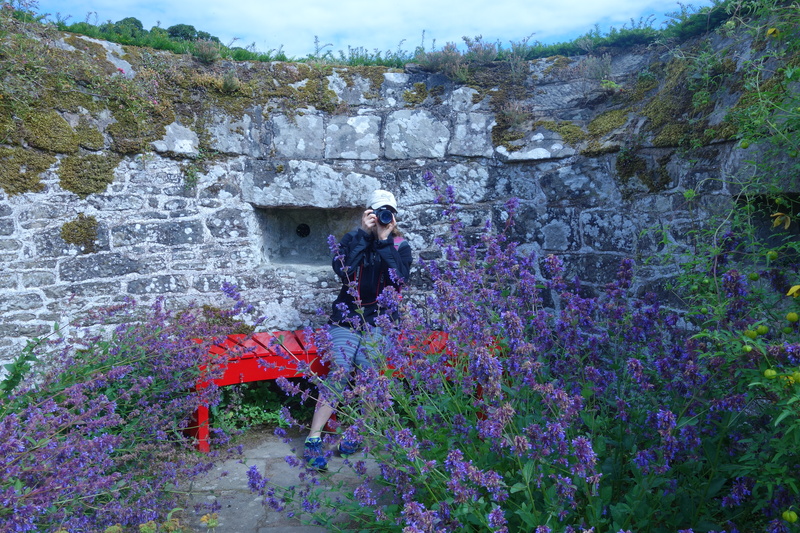 When English forces abandoned the castle in 1692, they blew it up. 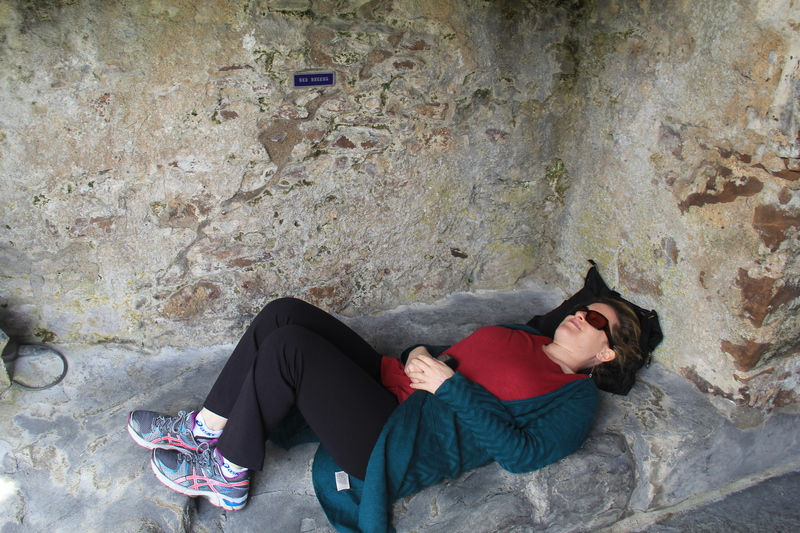 Lisa takes a nap on Urquhart Castle’s comfy accommodations. Don’t judge – driving and taking pictures is exhausting! My turn for a nap! Oh me and my love of silly pictures. RAINBOW! For some reason, this excited me to no end. 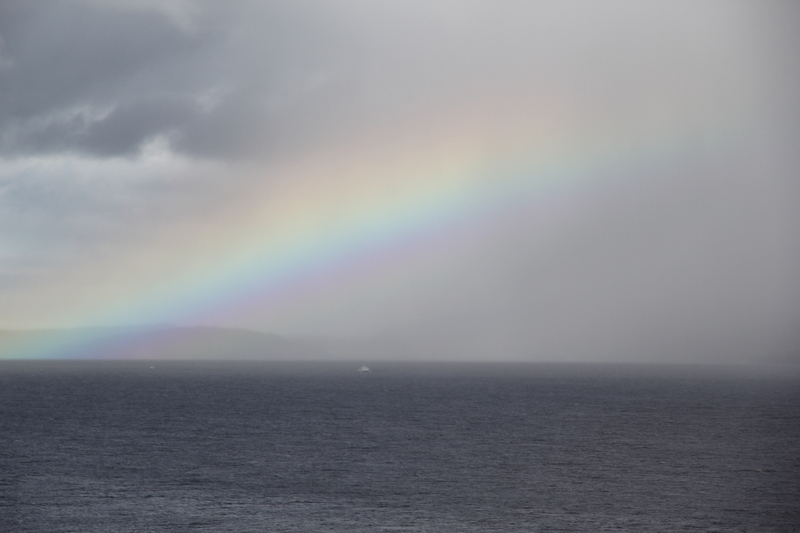 After we took a million pictures of the aforementioned rainbow, we continued on our way. 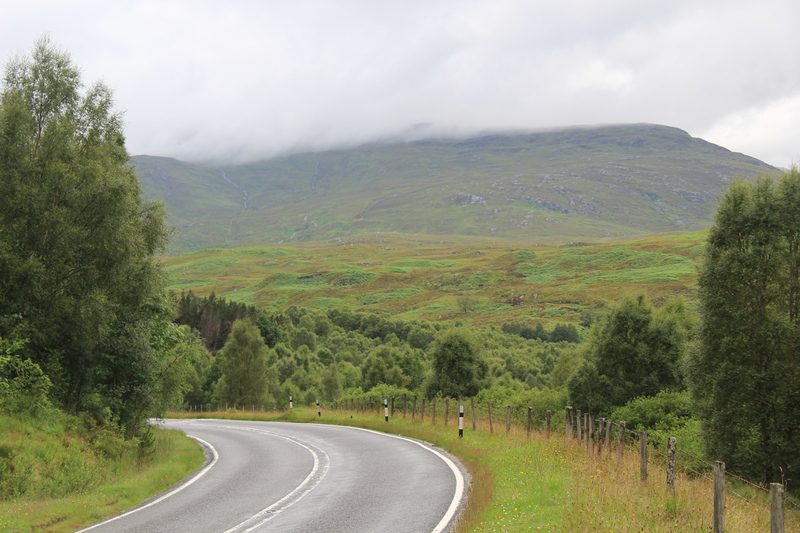 By the time we got to Glen Gary, the fog covered the horizon. 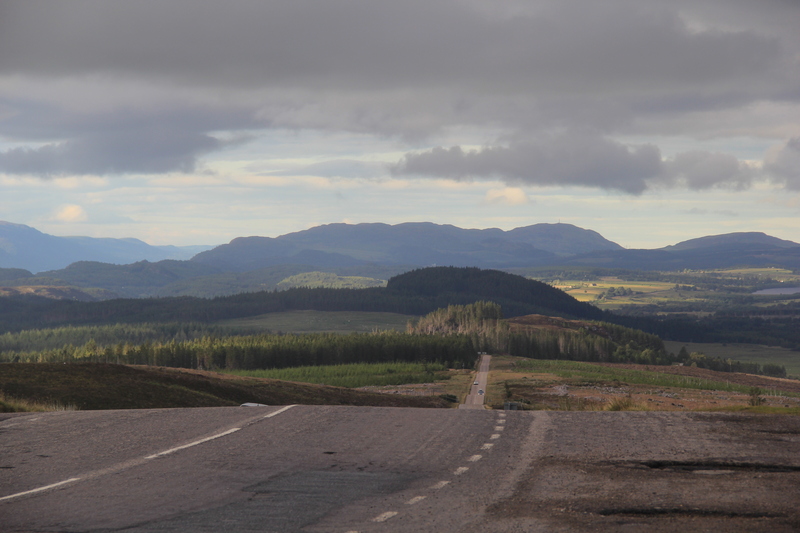 There were few people on the road, giving us the sensation of being alone in a thoroughly magical place. Our trusty Audi on the side of the wet road. I love this photo. 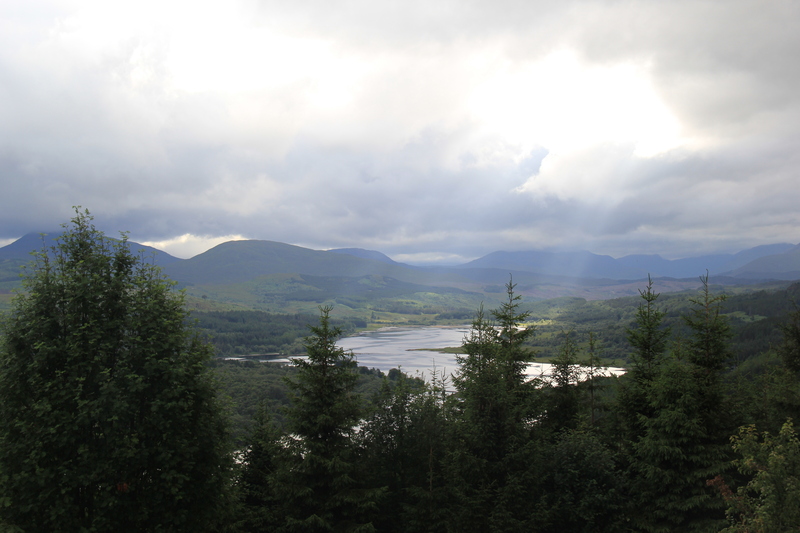 At one of our Glen Gary stops, the sun began to force its way out of the clouds, demanding to make its presence known. If you look closely, you can see the beams of light raining down over Glen Gary. It is magical. 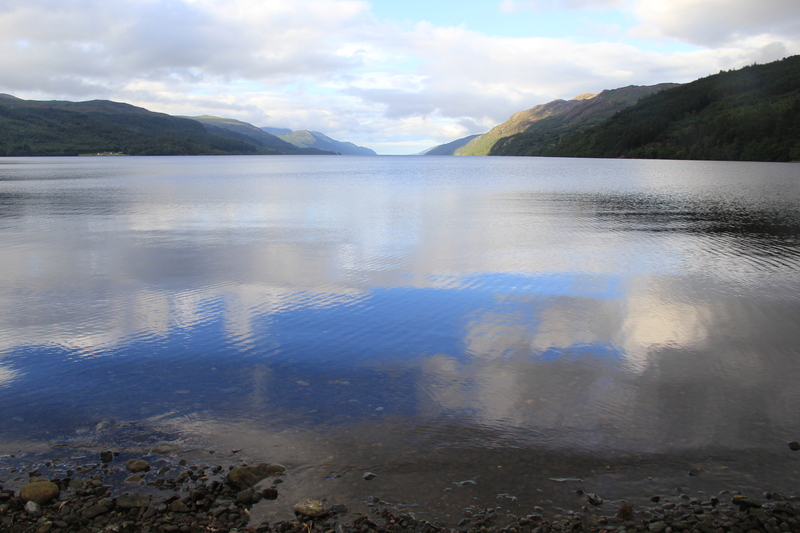 As we looped around Loch Ness heading to Suidhe Viewpoint, we came across a beautiful reflection. The clouds had parted for a moment, shedding a bright blue reflection on the water’s surface. 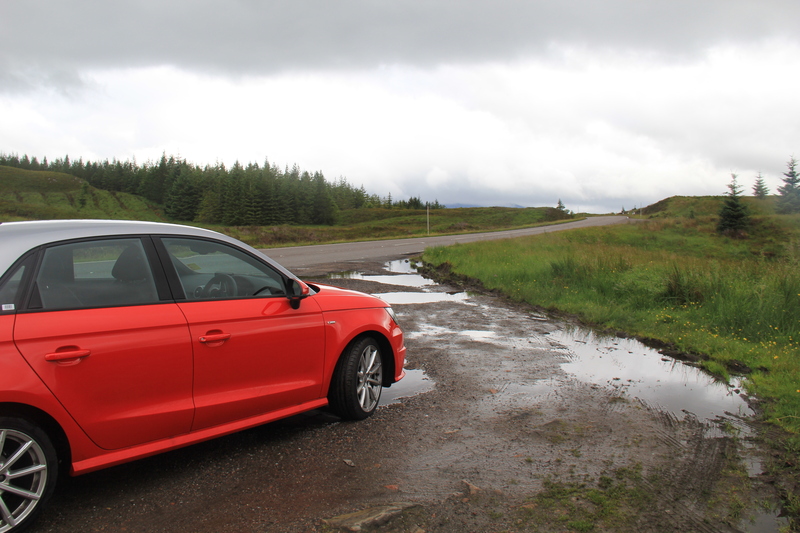 At Suidhe Viewpoint, the road rises to 1,200 feet with rolling hills and glorious fields stretching out before you, mixing with the on-and-off-again fog. 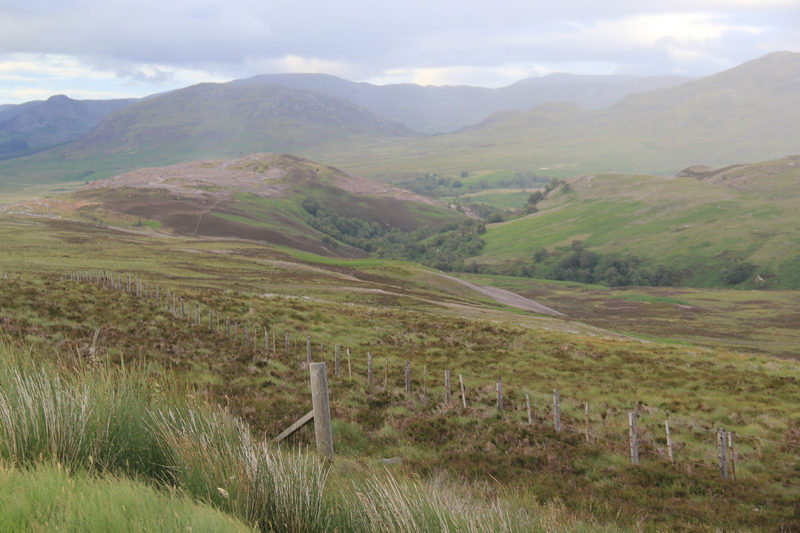 There is an unmarked trail at Suidhe that gets rave reviews in the Lonely Planet guide book. 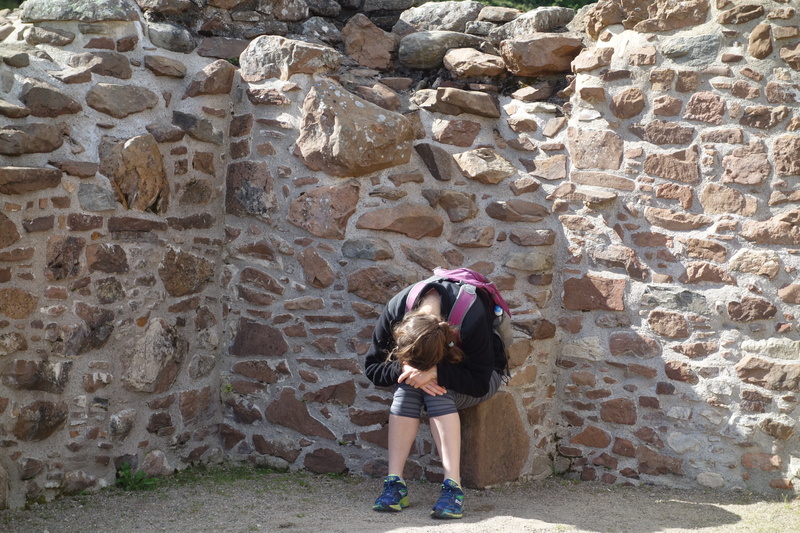 The wind had picked up and I was freezing, so Lisa treked out by herself and came back with gushing reports. 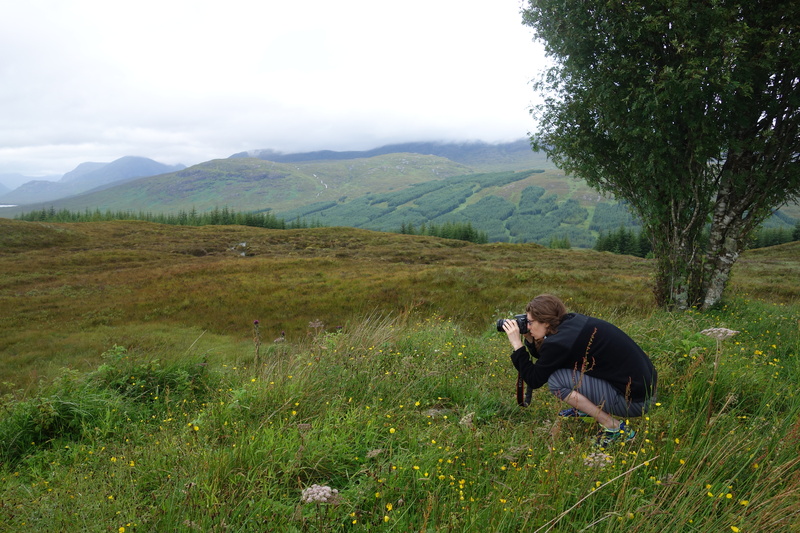 I managed to take plenty of beautiful pictures without venturing far from the warmth of our car. 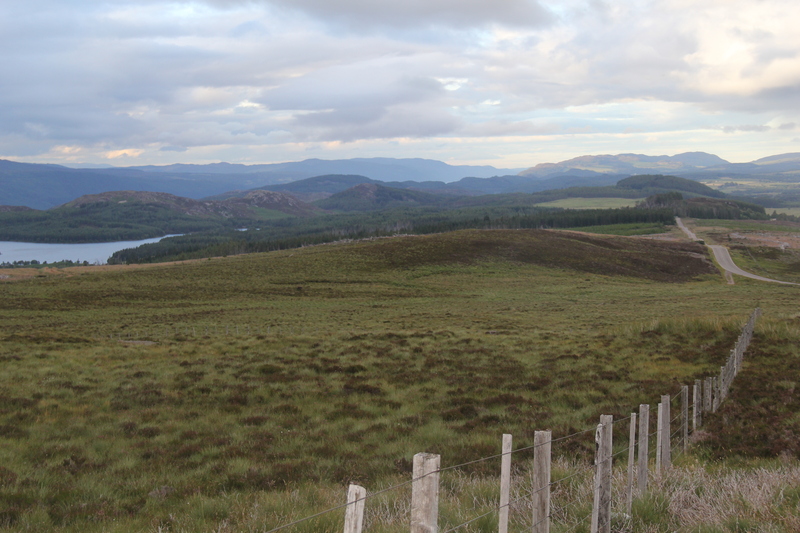 After Suidhe Viewpoint, it was time to head back to Inverness. 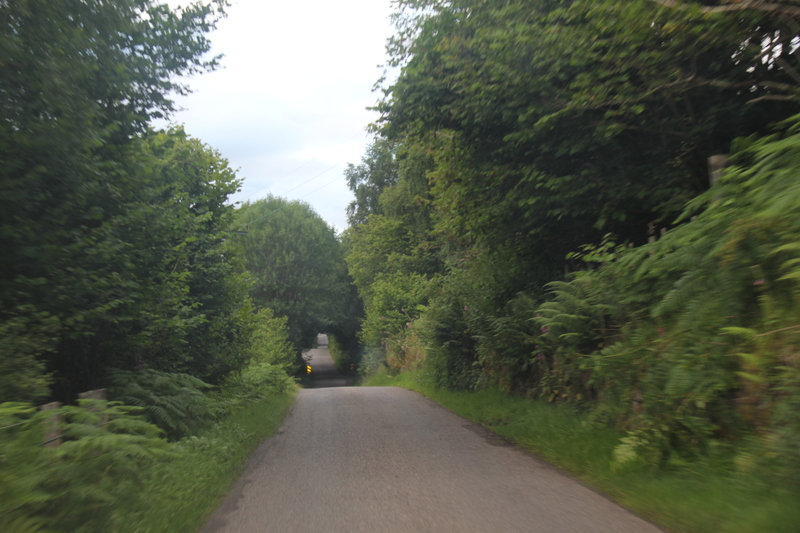 As we drove along B852, we marvelled at how narrow the roads were. Not only were they not wide enough for two-way traffic — they were barely wide enough for one! Lisa insisted I document our bravado with my camera.